You are at:Home»Archive»Will More People Attend Law School Next Year? Will More People Attend Law School Next Year? 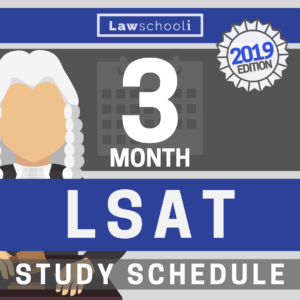 It’s in the news recently that the number of people taking the LSAT increased in February, with roughly 200 more people taking the LSAT than did in February of last year (source: LSAC). This is the first time since 2010 that there has been an increase in the number of people taking the LSAT for a specific administration. Mostly, it’s been all downhill since 2009-2010, when over 170,000 thousand people took the LSAT. 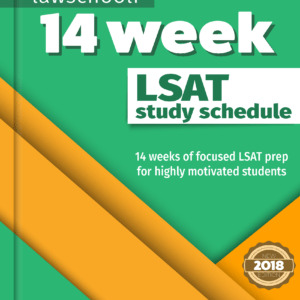 For this cycle, a mere 105,532 people took the LSAT. That’s about how many people used to take it back in the mid-90s, when far fewer people were graduating from college. Basically, the number of students headed to law school is at a historic low. I’ve had some readers concerned that competition for places in law school will get much harder next year. 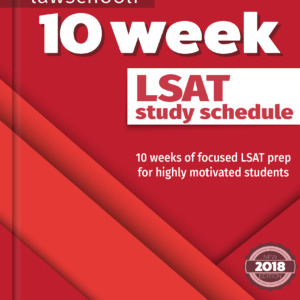 Another LSAT blog suggested, wrongly, that this will be the case. I want to put these fears to bed. Law schools, even elite schools, will remain much easier to get into (and get scholarships from) than usual for at least the next couple years. Basically, count on having conditions remain great for applicants for a while. Applications to law school are down about 40% from mid-2000’s highs and are likely to stay around there for some time. Here’s why you shouldn’t interpret the mere 200 people more taking the test this February as a sign that things are going to get harder: first, it’s 200 people we are talking about. I don’t count that as an increase at all — it’s not significant enough to really move the dial. February is historically when most people retake the LSAT. This blog and a couple other influencers have been suggesting, correctly, that more people should retake the LSAT than currently do. I think it’s likelier than not that message has been getting through and there has been an increase in the percentage of applicants retaking the LSAT. That’s a good thing. With conditions so good for those with good numbers, the incentives have never been better for those who think they can boost their score. If you are thinking a retake might be a good idea, read this post: should I retake the LSAT? Also, numbers this year were way down overall from last year, with a total 6.2% decrease in LSAT takers. I think it’s likely that we haven’t quite found the bottom and slightly fewer people even will take next year. Any boost, if there is one, will be very small. Although the job market for lawyers has rebounded somewhat, it’s still nowhere near where is was in the mid 2000’s, so it’s only natural that things will stay about where they are in terms of the number of people headed to law school. It will take a much stronger resurgence in hiring to pull things back up. For those of you applying, that may actually be a good thing. You want interest in law school to remain as low as possible while the job market is in the process of recovering. Historically, law schools have always produced more graduates than there are jobs for them to fill, but things are getting better on that front. In the eighties, when things at there best, about 85% percent of law graduates had found legal jobs soon after graduation. Some law professors have argued that there will be nearly enough jobs for law students in the near future. So don’t worry at all if you’ve had to wait to reapply. Things will still be favorable those applying next year and even the year after that. Be an intelligent consumer and you can get yourself into a very good position. Read our post on how to take advantage of law schools. So I have a question about this year’s admission cycle. I know last year’s cycle was a fantastic time to apply to law school and if I am understand you correctly, this year will be great too? The reason I am concerned is because my GPA was recently wrecked by poor past decisions and the LSAC. Long story short, I did ridiculously bad in a community college and finished my AA with a 2.8 (I was 16-18). I just finished my Bachelors with a 3.95. Put them together and you got a nasty 3.49. I can’t seem to get my LSAT scores up over a 163 and I really want to go to BYU or ASU. I have great LOR’s, extra-curriculars, community service, and work experience. Think I have a shot since applications are down? I just really don’t want to have to wait until March to find out if I got in. I am taking the LSAT this weekend and applying the second I get my score. What do you think?